How to wax a car: less work, better results! When most people ask how to wax a car, experience has shown me that this overly simplified question is really a start to more comprehensive understanding of proper car paint care. The car care industry has overwhelmed us with thousands of choices in car paint protection, all claiming to be the best auto wax or the best rated car wax. Any trip down the car care aisle at the local retailer will cause an anxiety induced head spin that will cause your eyes to roll back! Before you can even begin to wax your car, you first must become informed enough to choose the best car wax for your particular needs. Understanding the basics is not only a great place to start, but will also be helpful in all areas of proper paint care for your car. After all, how many of you have actually been taught what your car paint actually requires? 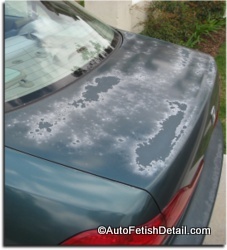 Understanding your car paint and clear coat. You might think washing your car is purely superficial and just for show, but did you know it really matters? You have heard of car wax, but do you know why you need to wax your car? Most people by now have heard of clear coat when talking car paint. Unfortunately there is an overabundance of bad information that circulates around clear coat and what it is or isn't. The picture below shows the dramatic damage of clear coat failure. Let's also lay out some foundational understanding when it comes to clear coats. Clear coat is essentially paint with no color to it. It requires the same care as car paint from days of past; washing, waxing, etc. Any original car paint is what is called 2-stage paint: 1st-stage is the base coat or color coat. The 2nd-stage is the clear coat. Clear coat is designed as the protective layer for the base, color coat. 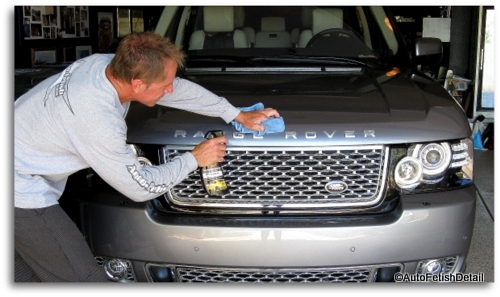 Clear coat protects from UV rays, weather elements, dirt, pollution, etc., etc. Every manufacturer has their own automotive paints made by leading manufacturers. This means that no set rule applies to whether clear coat is either hard or soft as you will often hear the so-called experts talk about with regards to paint polishing. Both exist and is a case by case judgement call that can change from manufacturer and from model year; no absolute rule exists. "Clear Coat Safe" waxes are nothing more than marketing tactics aimed at the ignorant public; any car wax or sealant will be clear coat safe as this is all that exists nowadays with car paint. Yes, the bad news is that like anything else in this world, your car needs to be washed. Car washing is a requirement not an option and should be thought of this way instead of the other way around; the additional benefit is that you also get a clean car in the process. Unless you are a plant, dirt is harmful to most things including your cars clear coat. The superficial dirt and dust that collects on your car should be removed at a minimum of every (2) weeks; preferably once a week. Waxing serves (2) purposes: protection and visual enhancement. As the saying goes, "Protect it or loose it". Virtually any car wax product on the shelves today will be acceptable, and is by far the better choice than doing nothing at all. So if you want to use the excuse that you can't find the perfect or best car wax, and therefore choose to do nothing, then go for it. But any wax is better than no wax. Eventually, every car will require use of detailing clay. Air-borne pollutants are a part of life and these pollutants will need to be removed from the exterior of your car, eg. paint, glass, chrome; any hard surface of your car. Even that brand-new car of yours will likely need it after sitting on the dealers lot for who knows how long before you came a long. Don't underestimate the importance of this critical step. You can read all about it at clay bar car. 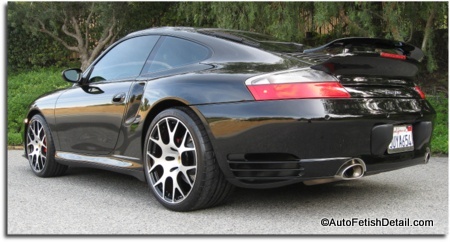 If you love researching the best in automotive waxes, then you can go to my more comprehensive wax review. You could spend an entire day searching for the best car wax online and still come away not being able to make a decision... and actually more confused than ever! Not only is there an endless list of car wax choices from hundreds of manufacturers, but how do you decide between the many types of car waxes; from paste to liquid to spray? 99% of you can make due with the following (2) car waxes. The paste wax will form a great foundation. The spray wax will be a great and easy way to enhance, extend, and maintain the base coat of wax. Can be used in direct sunlight. Very low dusting; if any at all! Deep shine! One of the car waxes I use professionally. Ideal on any colored car with exceptional hiding capabilities on dark's and blacks. Use as your foundational base coat after prepping the surface first with use of detailing clay. Apply every 4-6 months based on your personal demands and conditions in which your car is subjected to. Use as often as you are motivated to use; I use weekly on my black cars. An easy and effective way to extend your base coat. One of the car waxes I use professionally. Non-staining formulation; can be used directly on black trim pieces. Excellent hiding capabilities that compare to that of paste waxes. If you are still wiping car wax off with baby diapers you need to abandon that outdated thinking. 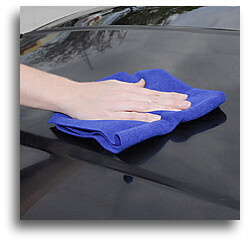 Nothing performs better and delivers better results than the latest in micro-fiber towels! Go during off hours when there is no line. Go straight home and spend the time you would normally use to wash your car and do the more critical steps of car care like waxing and detailing. Apply a base coat of the Meguiar's Ultimate Paste Wax every 4-6 months. Use the Meguiar's Ultimate Quik Wax as often as you like for that freshly waxed look in minutes of time! an endless stream of opinions! Mostly from the misinformed and inexperienced. The good news is that even the misinformed and inexperienced can offer a good choice in a car wax as this area of car care is filled with many excellent choices. One of the benefits of modern day chemical engineering! I simply offer one of many solutions and do so in a simplified way!